In addition to enjoying its streets, you can also marvel at the natural surroundings and sample the food and drink and cultural life on offer in this lovely town. The name of Alcántara comes from Arabic and means “the bridge”. Indeed, the town can boast of a magnificent Roman bridge that crosses the Tagus. Nevertheless, the town had already been settled as attested to by the Menhir del Cabezo standing stone and the Alcántara bronze plaque the "Tabula Alcantarensis". Alfonso IX of León won back the town from the Moors in the 13th century. In the Middle Ages, the town was home to the military Order of Alcántara. The latter explains the growing importance of the town at that time, an expansion that was further repeated in modern times when it once again experienced a period of splendour as attested to by the architecture of the time. Several of the town's inhabitants played an important role in the exploration of the Americas during the 16th century. The Roman Bridge of Alcántara is one of the town's symbols. Built in the 2nd century AD and magnificently preserved by subsequent restorations, it greatly facilitates connections with neighbouring Portugal. A stroll around the streets of Alcántara, dotted with noble coats of arms, will suffice to give you an idea of its heritage and historical importance. The Convent of San Benito, declared a National Monument in 1914, is its most important building. Don't miss its Gothic cloister, a real gem, not to mention its Renaissance façade known as the Gallery of Carlos V. The Church of San Pedro de Alcántara, the Convent of San Bartolomé, the Chapel of Piedad – now used as the Municipal Library –, the Chapel of Nuestra Señora de los Remedios and the Jewish Quarter should also not be missed. Nature lovers can easily explore the town's surroundings by bike or trekking. At warmer times of the year you can go for a refreshing dip in the Alcántara Quarry, an artificial lake located in beautiful surroundings. It must be pointed out that Alcántara lies within the confines of the Tagus International Nature Reserve, shared by Spain and Portugal. Moreover, Alcántara has a vibrant cultural life. Every year a Classical Theatre Festival is held there as is a genuine Medieval market where you can buy products made from local produce. The foregoing must not however cause you to overlook its local cuisine, as exemplified by such delicacies as partridge Alcántara-style, "migas" (milk-soaked breadcrumbs fried in olive oil) or the so-called monumenteras (almond-filled pastries). 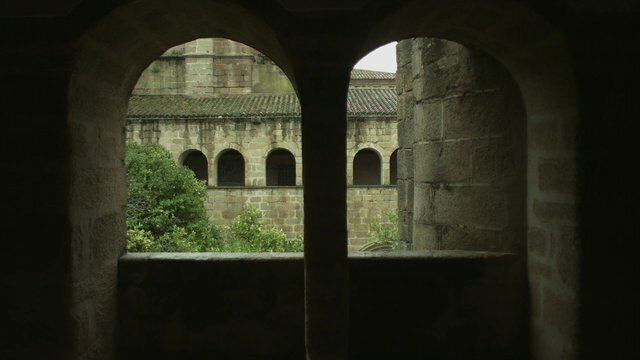 Alcántara, or more specifically, the Convent of San Benito, was where Marshal Junot seized the recipe book from the monks and gave it as a gift to his wife who, on publishing it as her own, served to internationalise Extremadura cuisine. While some of the recipes, such as "consumed" broth, were translated (thus giving birth to consommé), others were left untouched as their names refer to their place of origin.